Movers are hard working people, and while their intention is to perform claim-free moves 100% of the time, it doesn’t always happen that way. I have heard reports of claims occurring from 9% to 25% of the time, when using professional movers. That means that potentially up to one out of four moves will have a claim. Valuation is the term that refers to the value movers’ place on your possessions. It is not insurance, but a value assigned to the things that are being moved. Most moving companies provide Basic Liability. This coverage is free, and gives you .60 cents per pound times the weight of any item that gets damaged or goes missing. Be careful before you agree to that. You will be compensated a whole six dollars for your ten pound item. That’s it! How much does your original oil painting weigh? Or your new 50” plasma television? The best chances of having little or no claims on your move is to hire a reputable moving company that can assure you that they will be using experienced movers. It doesn’t guarantee that nothing will happen, but it helps. Ask about the claims process from each mover you interview. 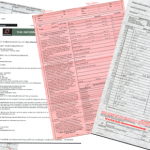 How long will you have from the delivery date to inspect your belongings and file a claim if necessary? 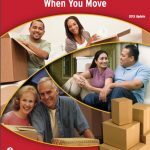 Ask about accountability of the movers. Some companies actually hold their movers partly responsible for claims. Call your homeowners insurance company to see if they cover you when you move. Most companies do not. Some offer coverage for catastrophe, but not damage. There are actually a few that do cover moves, or offer separate policies for moving. Here’s the good news. Moving companies offer full value protection, or replacement cost protection. 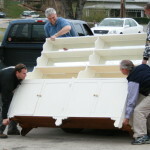 Under this plan, your mover will repair, replace, or reimburse up to the full value of the damaged or missing items. The plans are usually offered with deductibles, typically $0, $250, and $500. You should strongly consider taking the full value option over the basic liability when hiring a mover. If you’re not concerned with minor damage, and want to save money, take the $500 deductible. If you’re very particular about any damage no matter how slight, take zero deductible. If you can’t decide which type you are, take the $250 deductible. You will likely feel better knowing you’re protected should anything happen during the move, and if you do need to file a claim, you won’t regret having made this decision.